The Jazzy Sport collective has been one, if not the main spearheading force for underground hip-hop in Japan the past decade. One of the most respected crews in the world with some of the finest talents and future legends. When I first began the show, Jazzy Sport established their record label, pushing out an infinite string of back to back quality releases. Releases from the likes of The Sa-Ra Creative Partners, IG Culture, Count Bass D, Cro-Magnon, Grooveman Spot and of course, DJ Mitsu The Beats. If one person holds the flag for Jazzy Sport, it's got to be Mitsu. A world renowned DJ, producer and 1/3 of the hip-hop group Gagle. He's been spotlighted for years with production that's channeled the greats from the mid '90s. If there's one thing I respect most about Jazzy Sport, is not only do they just stick to representing quality soul and electronic music, they're dedicated to keeping underground hip-hop alive. 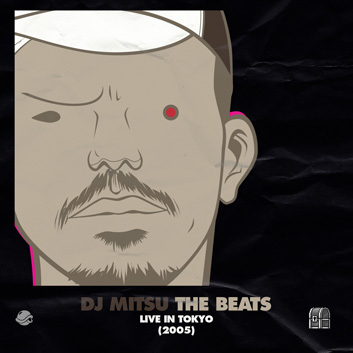 One of the most requested archives, DJ Mitsu The Beats live in Tokyo. Recorded exclusively for Andrew Meza's BTS Radio at Club Milk.